Michael Makovsky is the CEO of the Jewish Institute for National Security Affairs (JINSA), a neoconservative advocacy group that promotes hardline U.S. policies in the Middle East and works to establish ties between U.S. and Israeli security officials. A dual U.S.-Israeli citizen, Makovsky reportedly served in the Israeli army. Makovsky has promoted numerous confrontational "pro-Israel" U.S. policies in the Middle East, particularly on Iran. For instance, Makovsky opposed a 2013-2014 interim deal struck between Iran and the P5+1 negotiating powers to exchange limited sanctions relief for restrictions on Iran's nuclear enrichment while a comprehensive deal was negotiated. He was especially critical of the Obama administration's refusal to consider leveraging new sanctions against Iran during the comprehensive negotiations, accusing the president of taking a "potential source of leverage off the table." Critics of the new sanctions—which were introduced by Sens. Mark Kirk and Robert Menendez and vigorously supported by the American Israel Public Affairs Committee (AIPAC)—argued that they were designed to scuttle the talks altogether. In a 2014 Wall Street Journal op-ed coauthored with former Lt. Gen. David Deptula, Makovsky argued that if the administration wouldn't agree to pass new sanctions on Iran, it should instead arm Israel with B-52 bombers and "bunker buster" bombs capable of destroying underground facilities like the Iranian enrichment plant at Fordow. "Iranian planners," they wrote, "might hope that [Israel's existing bunker buster arsenal] will prove insufficient to do major damage. The U.S. should remove such doubt by providing Israel with the capability to reach and destroy Iran's most deeply buried nuclear sites." By arming Israel with such advanced weaponry, Makovsky and his coauthor concluded, Washington "would send a signal that its ally, which already has the will, now has the ability to prevent a nuclear Iran. Once they are delivered—ideally as the current six-month interim deal is set to expire in July—Iran will be put on notice that its nuclear program will come to an end, one way or another." Critics argued that making such a weapons transfer would implicitly green-light an Israeli strike on Iran and effectively make U.S. policy toward Iran contingent on Israel's discretion about using the weapons. In his memoir, former Secretary of Defense Robert Gates recalled counseling President George W. Bush against a similar transfer in 2007. "I recommended saying no to all the Israelis’ requests," Gates wrote. "Giving them any of the items on their new [military wish] list would signal U.S. support for them to attack Iran unilaterally: 'At that point,' [Gates told Bush,] 'we lose our ability to control our fate in the entire region.' I said we would be handing over the initiative regarding U.S. vital national interests to a foreign power." Before joining JINSA in April 2013, Makovsky worked for six years as foreign policy director at the Bipartisan Policy Center (BPC), an ostensibly centrist think tank that espoused a hawkish approach on Iran and other foreign policy issues during Makovsky's tenure. His track record also includes working as a visiting fellow at the rightist Claremont Institute and at the Institute of Contemporary British History. A major theme in Makovsky's work on Iran is the purported need to maintain a "credible" military threat against the country. In this regard, he has proposed arming Israel with sophisticated weaponry that could encourage Tel Aviv to unilaterally strike Iran, opposed negotiations with Tehran over its nuclear energy programs, and called for U.S. military build up in the region. In a March 2012 Weekly Standard article published during the lead-up to President Barack Obama’s appearance at the annual AIPAC convention, Makovsky argued that the United States should work to prevent Iran from developing the “capability” to build nuclear weapons—in contrast to preventing the acquisition of the weapons themselves. In another Standard article published in February 2013, Makovsky claimed that Iran was using the P5+1 negotiations with the UN Security Council and Germany to delay "the day when it is ready to make the dash to a nuclear weapon," thus skirting the Israeli "red line" of nuclear capability, but ultimately "ensuring that the dash will be as short as possible." Makovsky did not elaborate on how exactly the United States could prevent Iran from securing nuclear capability, except to say that Washington "should make abundantly clear, in both word and deed, that it remains committed to using all means of power to prevent a nuclear Iran." Despite his enthusiasm for using "all means available" to curtail Iran's alleged nuclear ambitions, Makovsky has downplayed the effectiveness of sanctions, opting instead for more confrontational measures. In a May 2009 article for the New Republic, Makovsky and coauthor Ed Morse contended that sanctions on companies that sell gas to Iran would be ineffective, and that the only “effective option” was to impose a naval blockade. 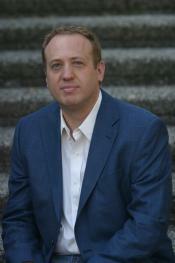 In 2008, Makovsky led a BPC team that produced the report “Meeting the Challenge: U.S. Policy Toward Iranian Nuclear Development.” The lead drafter of the report was then-American Enterprise Institute fellow Michael Rubin, an outspoken proponent of militarist U.S. policies in the Middle East. Other participants included Henry Sokolski; former Obama administration staffer Dennis Ross; Stephen Rademaker, the husband of AEI’s Danielle Pletka; and Kenneth Weinstein, CEO of the Hudson Institute. 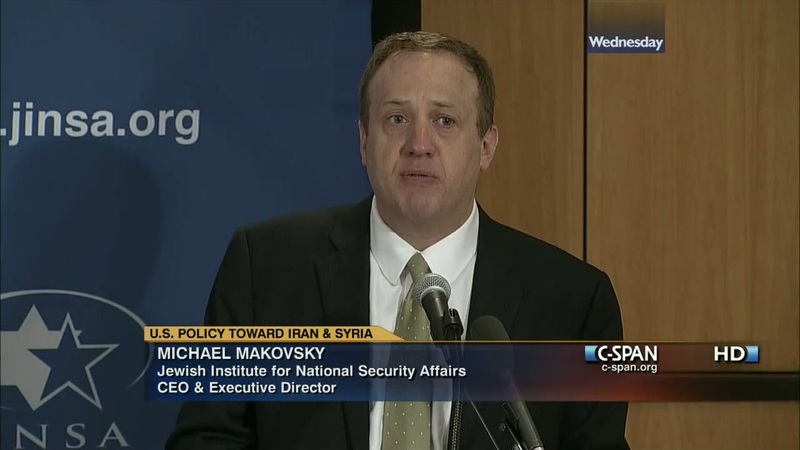 Makovsky’s brother, David Makovsky is a fellow at the Washington Institute for Near East Policy, a spin-off of the American Israel Public Affairs Committee. David has written extensively on Mideast policy, including a 2009 book co-written with Dennis Ross titled Myths, Illusions, and Peace: Finding a New Direction in the Middle East. Jack Herman, “A Whole New Ballgame Overseas,” St. Louis Post Dispatch, February 20, 1989. David Deptula and Michael Makovsky, "Sending a Bunker-Buster Message to Iran," Wall Street Journal, April 7, 2014, http://online.wsj.com/news/articles/SB10001424052702304418404579462970629373280. Jim Lobe, "Gates on the Israeli Tail’s Attempt to Wag the Dog in 2007," LobeLog, April 23, 2014, http://www.lobelog.com/gates-on-the-israeli-tails-attempt-to-wag-the-dog-in-2007/. Bipartisan Policy Center, “Michael Makovsky,” http://www.bipartisanpolicy.org/about/staff/michael-makovsky. Jim Lobe, "How neo-cons influence the Pentagon” Asia Times, August 8, 2003, http://www.atimes.com/atimes/Middle_East/EH08Ak01.html. Justin Raimondo, “The Worms in the Apple,” Antiwar.com, September 18, 2009, http://original.antiwar.com/justin/2009/09/17/the-worms-in-the-apple/. Michael Makovsky, "Iran's Shrewd Move," Weekly Standard, February 22, 2013, http://www.weeklystandard.com/blogs/irans-shrewd-move_703091.html?nopager=1. HSJ, "What It Takes to Prevent a Nuclear Iran" event transcript, September 4, 2012, http://henryjacksonsociety.org/2012/09/04/what-it-takes-to-prevent-a-nuclear-iran/. Michael Makovsky, “Stick must remain an option to stop Iran,” San Francisco Chronicle, March 21, 2010. Michael Makovsky and Ed Morse, “Over a Barrel: Why Congress's sanctions against Iran won't work,” New Republic, May 29, 2009. Daniel Luban and Jim Lobe, “Shortcut On The Roadmap To War,” IPS Lobelog, June 1,2009, http://www.lobelog.com/shortcut-on-the-roadmap-to-war/. Ugo Paladini, “Author’s Bias Skews His Portrayal of Churchill,” Pretoria News, January 18, 2010.